Mon., 13 May - Wed., 5 Jun. Tue., 19 Nov. - Wed., 11 Dec. Sun., 1 Sep. - Thu., 3 Oct. Tue., 21 May - Tue., 18 Jun. Sat., 30 Nov. - Wed., 25 Dec. Thu., 7 Nov. - Sun., 17 Nov. Tue., 20 Aug. - Mon., 30 Sep. Tue., 1 Oct. - Wed., 15 Jan. Tue., 20 Aug. - Sun., 15 Sep.
Fri., 27 Sep. - Fri., 4 Oct. Sat., 7 Sep. - Sat., 28 Sep. Sun., 15 Dec. - Tue., 14 Jan.
Fri., 17 May - Sun., 16 Jun. Mon., 24 Jun. - Mon., 15 Jul. See all 1,851 properties in Tan Son Nhat Intl. 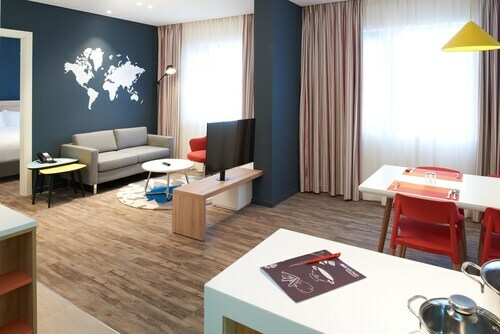 Situated near the airport, this hotel is within 6 mi (10 km) of War Remnants Museum, Independence Palace, and Saigon Notre-Dame Basilica. Saigon Central Post Office and Saigon Square are also within 6 mi (10 km). 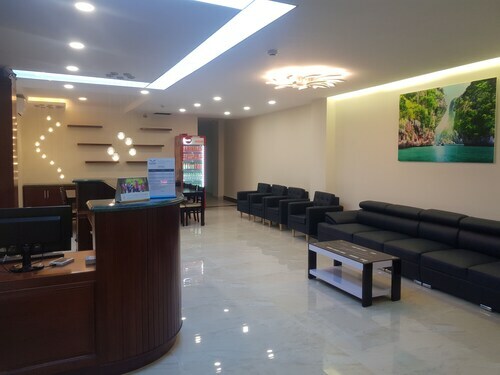 Situated near the airport, this hotel is within a 15-minute walk of Saigon Superbowl, Pho Quang Pagoda, and Hoang Van Thu Park. Vietnam People's Air Force Museum and Gia Dinh Park are also within 1 mi (2 km). 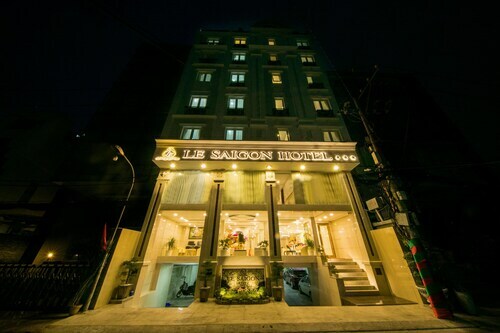 Situated near the airport, this hotel is 0.6 mi (1 km) from Saigon Superbowl and 3.1 mi (5 km) from War Remnants Museum. Pho Quang Pagoda and Hoang Van Thu Park are also within 15 minutes. Situated near the airport, this hotel is within 1 mi (2 km) of Gia Dinh Park and Tan Son Nhat Market. War Remnants Museum and Independence Palace are also within 6 mi (10 km). 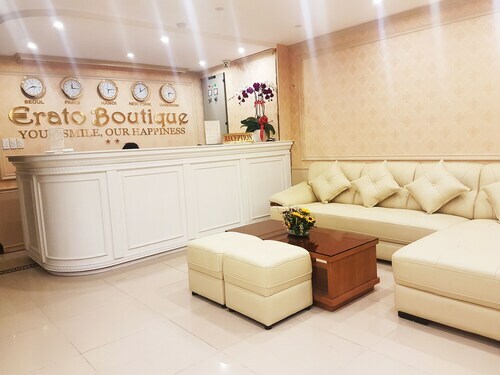 Situated in Ho Chi Minh City, this hotel is within a 15-minute walk of Gia Dinh Park, Saigon Superbowl, and Tan Son Nhat Market. Vietnam People's Air Force Museum and Pho Quang Pagoda are also within 1 mi (2 km). 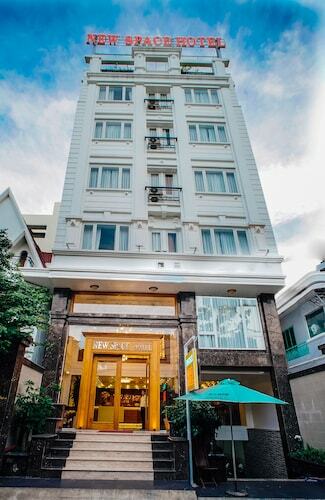 Situated in Ho Chi Minh City, this hotel is within a 15-minute walk of Gia Dinh Park and Saigon Superbowl. Pho Quang Pagoda and Hoang Van Thu Park are also within 1 mi (2 km). 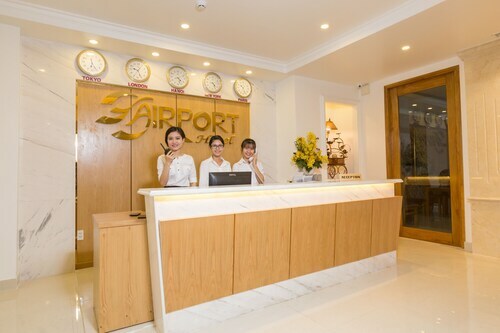 Situated near the airport, this hotel is within a 15-minute walk of Saigon Superbowl and Gia Dinh Park. Tan Son Nhat Market and Vietnam People's Air Force Museum are also within 1 mi (2 km). Situated in Ho Chi Minh City, this hotel is close to Saigon Superbowl, Gia Dinh Park, and Pho Quang Pagoda. Also nearby are Vietnam People's Air Force Museum and Tan Son Nhat Market. Question : How much time do people spend in Ho Chi Minh City? Answer : The average time spent sightseeing in Ho Chi Minh City by travellers from Vancouver is 29 days. Question : What airports do you fly into for Ho Chi Minh City? Answer : There is more than one way to get to Ho Chi Minh City. Victoria International Airport is 40 miles away from YVR, and flights are 34% cheaper on average for the next two months. Save and put those extra savings toward your next adventure. Question : What is the cheapest date to fly to Ho Chi Minh City? Answer : If you are looking to save heaps, look at May 2nd. As of Apr 15th, it's showing the cheapest ticket sales at $557. That is 47% below the average for this route, so you can spend the savings on an adventure in Ho Chi Minh City. Answer : The cheapest day to fly from Vancouver to Ho Chi Minh City is on Wednesday. So, if you want to save a bit of cash on your next business trip look for flights on that day. Question : What is the cheapest airline flying from Vancouver to Ho Chi Minh City? Answer : Flight prices are hitting as high as $11,073 over the next three months when flying to SGN from YVR. Check out China Eastern Airlines, as customers have been booking flights at just $554. Question : How much is a plane ticket to Ho Chi Minh City (SGN) from Vancouver (YVR)? Answer : Cost can range anywhere from $554 to $11,073, prices for YVR to SGN do fluctuate a lot more than the majority of routes from Canada. The further out you book your ticket, the more likely you are to save.